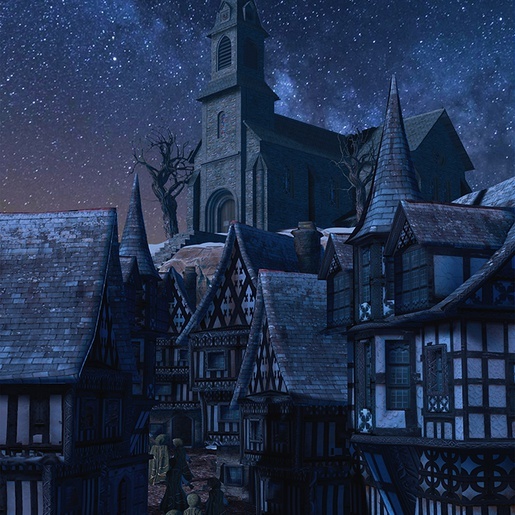 There was an open space around the church; partly a churchyard with spectral shafts, and partly a half-paved square swept nearly bare of snow by the wind, and lined with unwholesomely archaic houses having peaked roofs and overhanging gables. Death-fires danced over the tombs, revealing gruesome vistas, though queerly failing to cast any shadows. 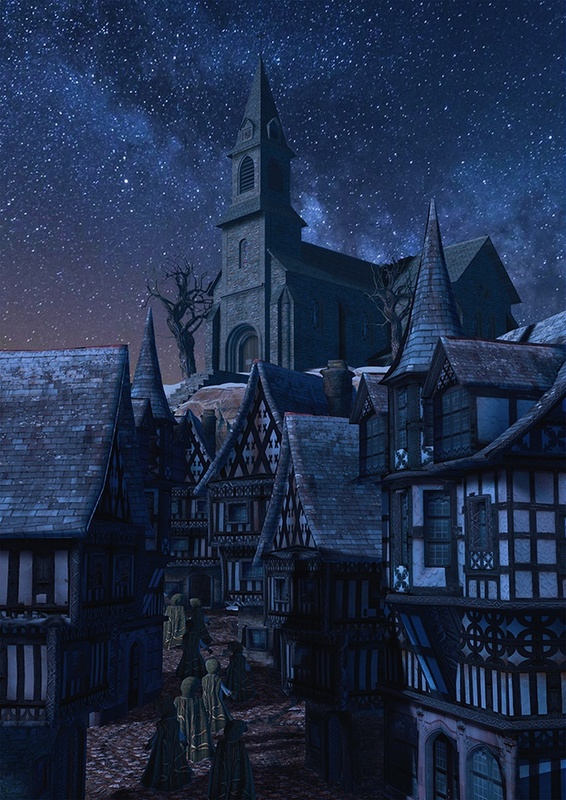 Past the churchyard, where there were no houses, I could see over the hill's summit and watch the glimmer of stars on the harbour, though the town was invisible in the dark.